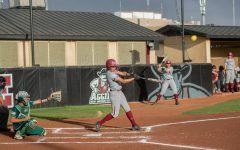 Nikki Butler hits what ends up being the game-winning home run against UNM and the win-sealing three-run double against UTEP to ensure a 3-0 start to NM State's season. 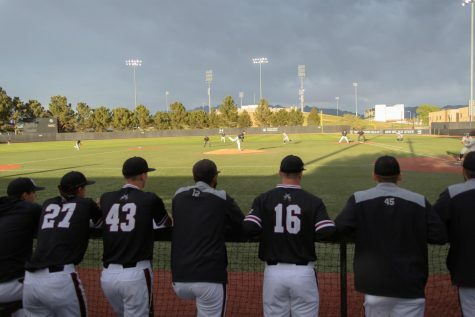 Winning a rivalry game is flat-out awesome. 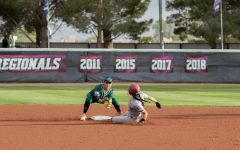 Winning two different rivalry games in one day is… uncommon, but doubly exhilarating for any team, and that’s just what the New Mexico State softball team accomplished Saturday night. 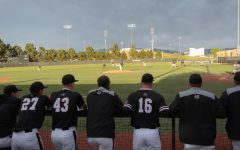 The Aggies followed up yesterday’s 11-4 victory over Creighton with a continued avalanche of runs, coming back to beat UNM 9-8 in game-one of the double header and holding off UTEP for a more comfortable 12-3 win in five innings (courtesy of the run-rule) later in the evening to improve to a perfect 3-0 on the season. Game one was as dramatic as you’d like, with NM State climbing back from an early 3-1 deficit with a five-run fifth that featured two more home runs from seniors Kelsey Horton and Victoria Castro. 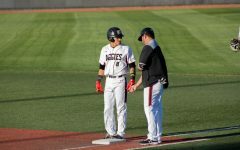 UNM made a late surge of their own, reclaiming the lead an inning later, but Horton’s third dinger of the season put the Aggies back on top and and Butler’s first gave them the cushion they needed. 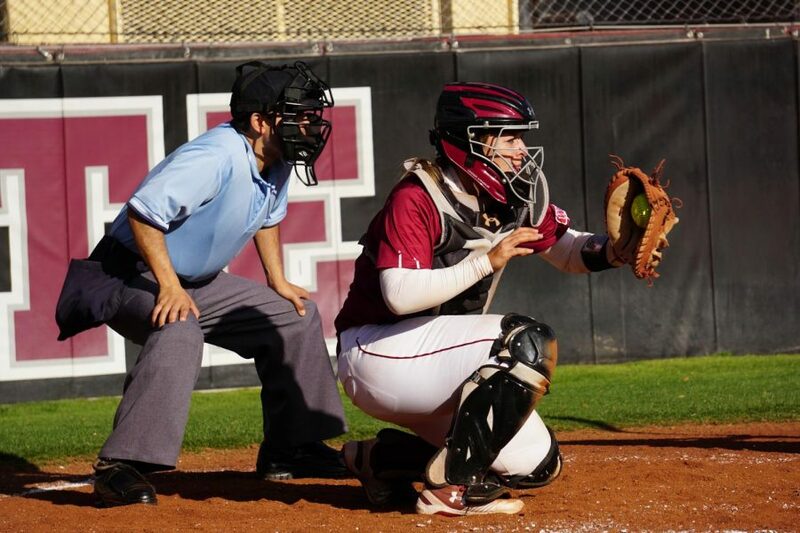 Samaria Diaz came through with some clutch relief pitching down the stretch, striking out three in the top of the seventh and stranding the tying run on third. 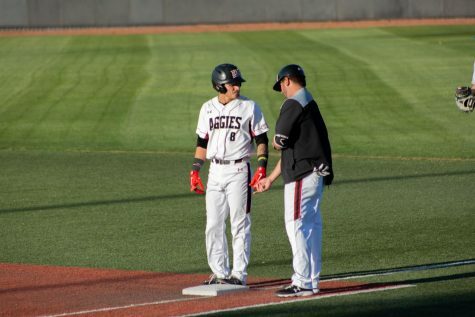 That offense-by-committee carried over in to the second game, making up for a rare lack of home runs with tremendous group efficiency, with six Aggies contributing at least an RBI en route to hitting .421 for the game. 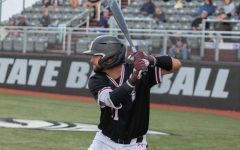 UTEP took an early lead after their three-run second, but NM State responded and responded emphatically, jumping back out in front with four later in the inning and piling six runs on in the bottom of the fourth, including the Butler near out-of-the-park double bringing in three and forcing the run-rule in play. 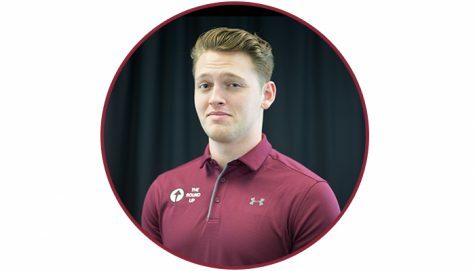 The Aggies will finish off the NM State Invitational tomorrow morning with a rematch against Creighton, but the already stellar start is exactly what Rodolph and the team hoped for.